I keep a list in the notepad of my iPhone. 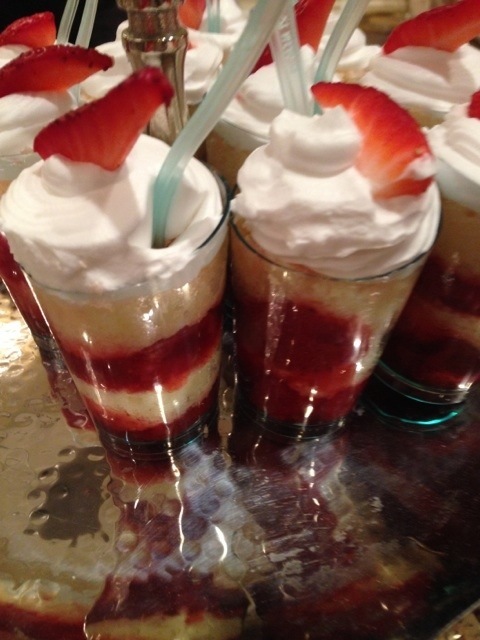 The list is called “Restaurants To Try”. A few times a month we try a “new” place on my list. The “new” part means, more often than not, that they’re new to me and a place I’ve been hearing about. As you can guess it’s going to take me a while to get through my list, and that is part of the fun. 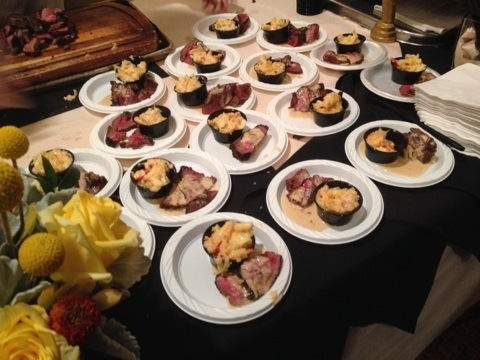 So you can imagine how excited I was when I heard about an event that would enable me to try several new restaurants and even revisit some of my favorites all at once! 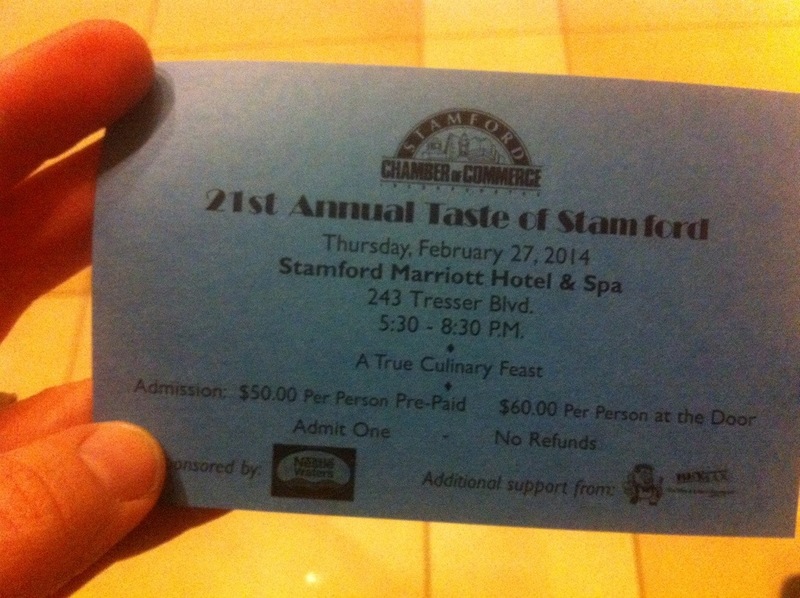 I was recently invited to attend the 21st Annual Taste of Stamford. 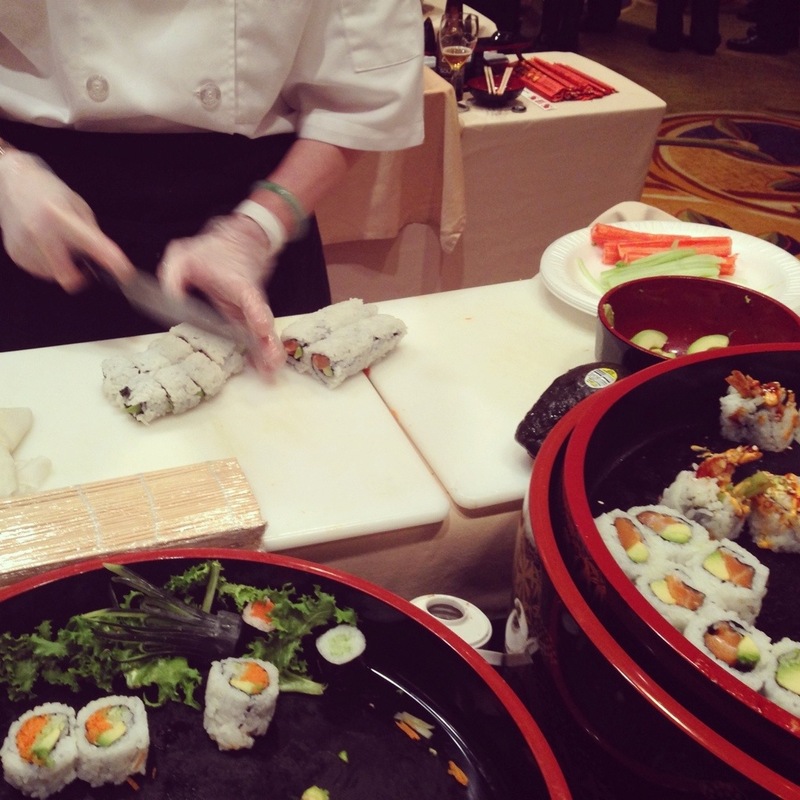 Sponsored by the Stamford Chamber of Commerce and held at the beautiful Stamford Marriott, Taste of Stamford is the perfect event to try some local restaurants you might have on your must-try list all in one place on one evening. 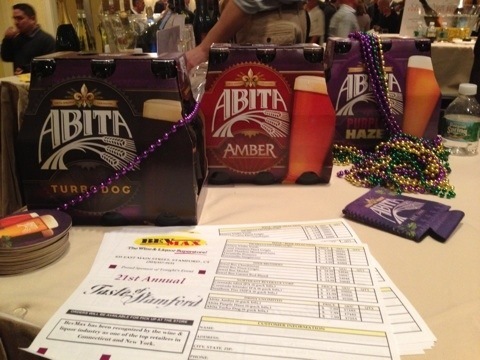 The price of a ticket ($50 prepurchase, $60 at the door) allows you to sample food and beverages from over 40 exhibitors. 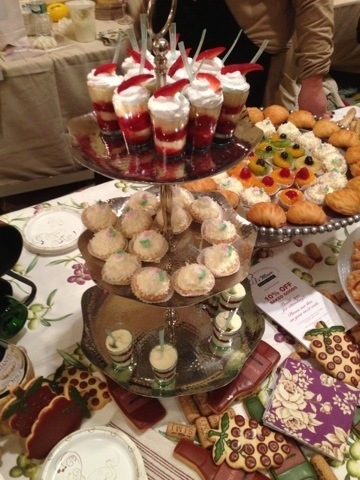 My only regret is that I hadn’t attended Taste of Stamford sooner! 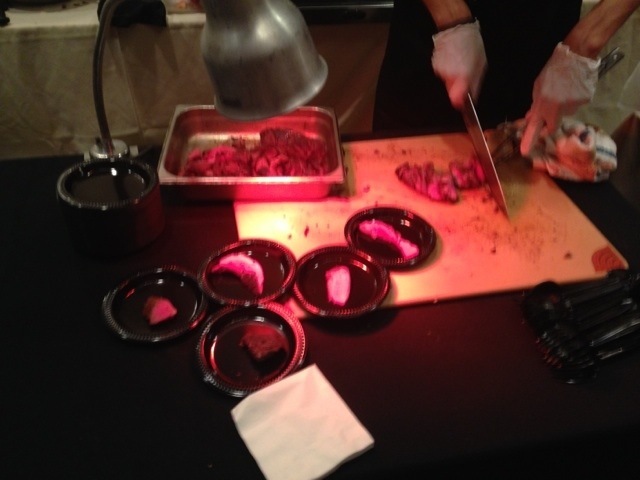 Taste of Stamford certainly has something for everyone from barbecue to sushi and everything in between including samplings of wine, beer, coffee, and several brands of water. 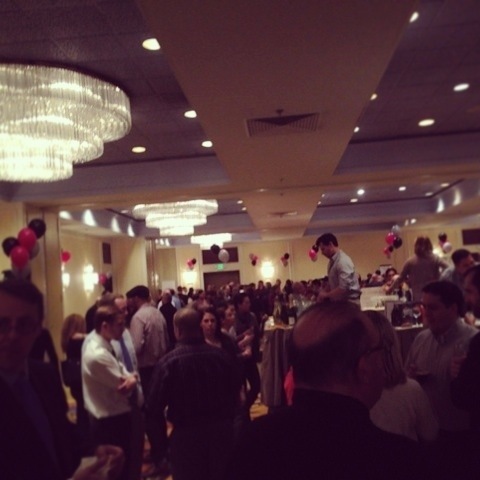 On hand at Taste of Stamford with samples of wine and beer were BevMax-Warehouse Liquors, Dichello Distributors, and Stamford Wine & Liquors. I really enjoyed a glass of Catapanus, 2012, a white wine from Italy recommended by Stamford Wine & Liquors. 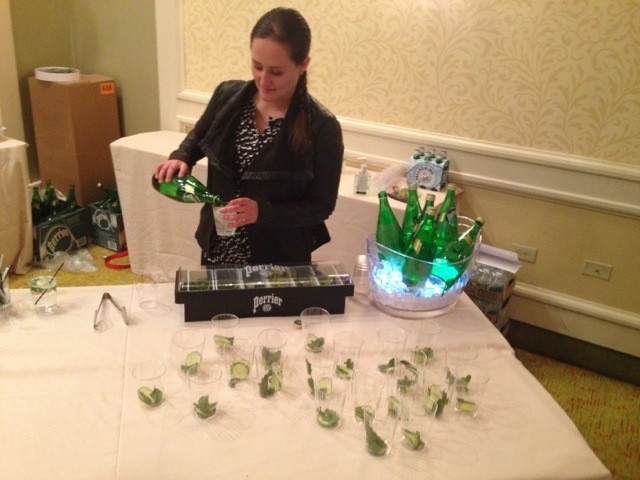 Non-alcoholic beverages were provided by Coffee Distributing Corp., Shearwater Organic Coffee Roasters, Nestlé Pure Life, Perrier, Poland Spring, Resource Spring Water, Robeks Juice, and S. Pellegrino. 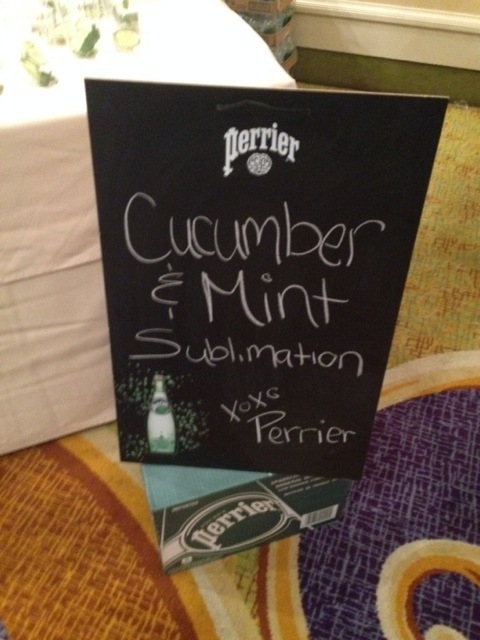 Cucumber, mint, and Perrier is really a perfect combination. I make cucumber water regularly at home, especially during the summer, but I hadn’t thought to add mint. Together this makes a very refreshing drink and I can’t wait to make this at home. 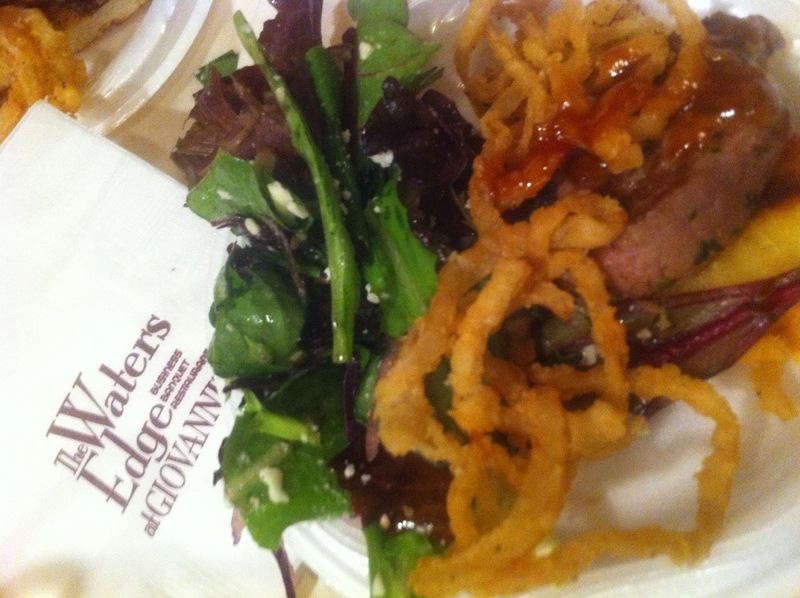 There were so many delicious foods to try at Taste of Stamford that we didn’t know where to begin. Participating restaurants included: Acqua Panna, Bar Rosso, The Capital Grille, Capriccio Cafe, Cask Republic, Columbus Park Trattoria, David’s Soundview Catering, Dinosaur BBQ, Fairway Market, Fiesta Atlantic, Fish, Grade A ShopRite/Sushi Village Caterer, Kona Grill, Little Gourmet Shop, Morton’s Steakhouse, Myrna’s Kitchen, Napa & Co, Olio Restaurant, Riko’s Pizza, Rizzuto’s Italian Kitchen, Rodizio Grill, Stamford Marriott Hotel, Tabouli Grill, Tomato Tomato, Villa Italia Ristorante, and The Water’s Edge at Giovanni’s. 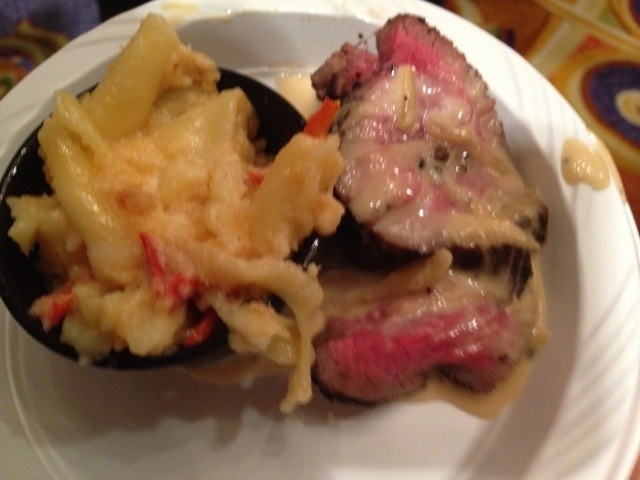 The Kona crusted Filet Mignon and Lobster Mac n’Cheese from The Capital Grille was so excellent we went back for seconds! The filet was seasoned and cooked so perfectly. What I liked about the Lobster Mac n’Cheese is that you weren’t overwhelmed by the taste of lobster. Instead, a bite of the Lobster Mac n’Cheese meant a balance of flavors of the lobster, cheese, butter and a little breadcrumbs. I am a big fan of Cask Republic – everything I’ve tried so far has been truly delicious with such attention to detail that you’ll appreciate the food even more. 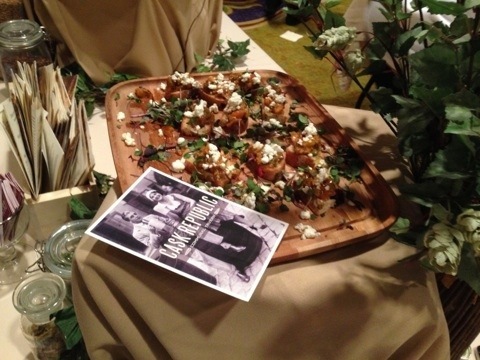 For Taste of Stamford Cask Republic presented Pork Confit Sliders and Eggplant Caponata (pictured) to tantalize our taste buds. 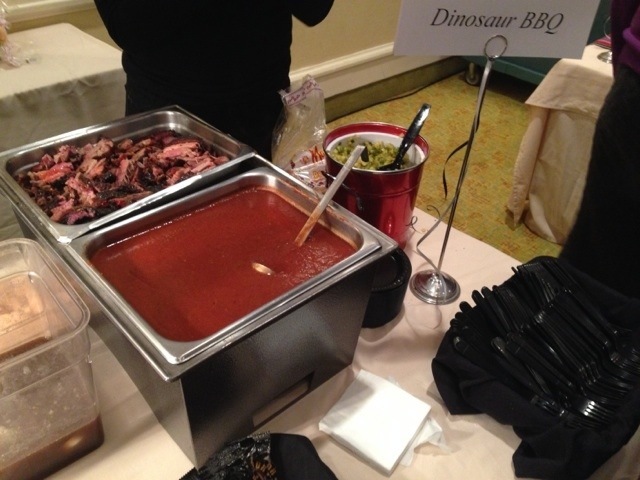 If you like barbecue, you will like Dinosaur BBQ. 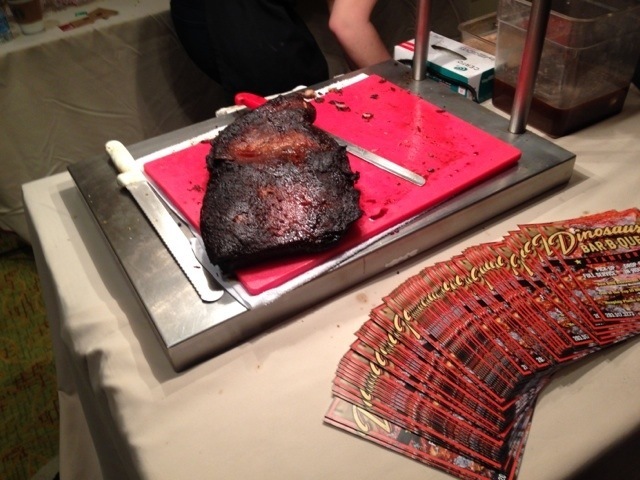 People were loving the beef brisket slider on a potato roll with pickled onion and jalapeño relish by Dinosaur BBQ at this event. 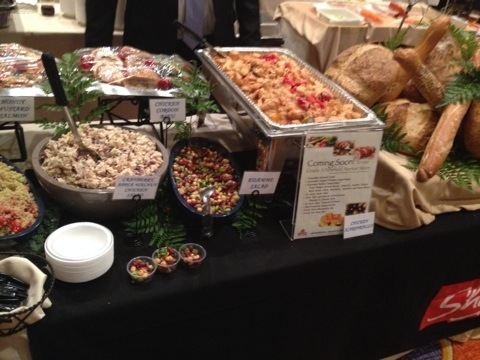 As I walked around the room I heard people talking about food they had sampled and their favorites. 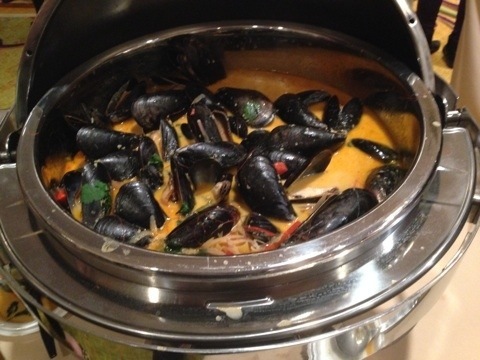 One dish I heard about over and over was the PEI Steamed Curried Mussels from Fish. A new restaurant, Fish is part of the Quattro Pazzi family. 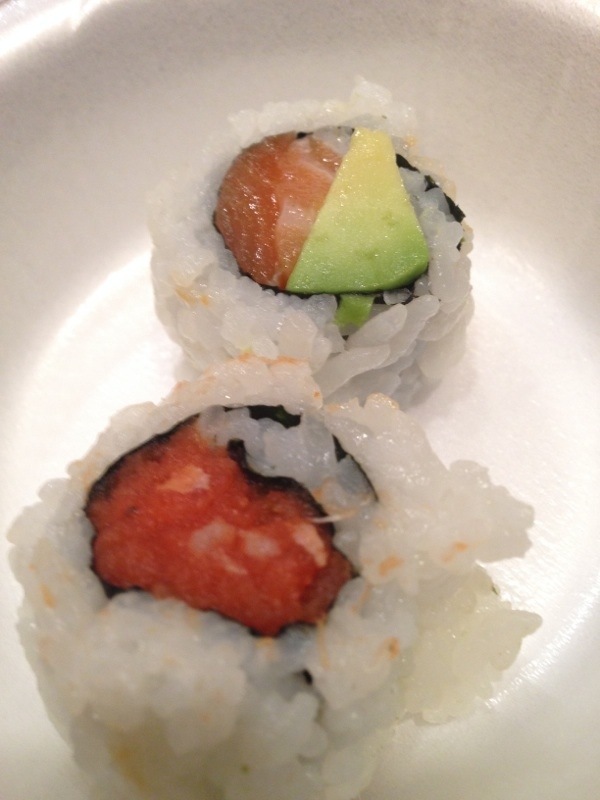 I was pleasantly surprised by ShopRite – their assorted salads and sushi were very good! 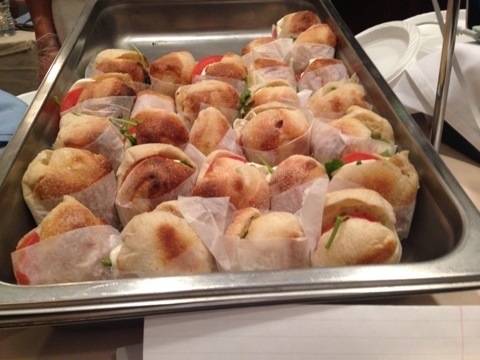 Plus, did you know ShopRite caters? 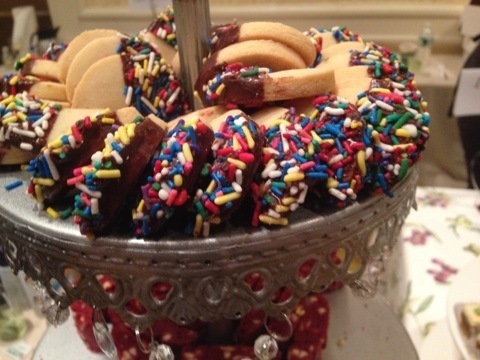 When you hear fellow diners talking about a dish you listen, whether you’re in a restaurant or at an event like Taste of Stamford. People were talking about the Roasted Brussels Sprouts by the Little Gourmet Shop and I listened. 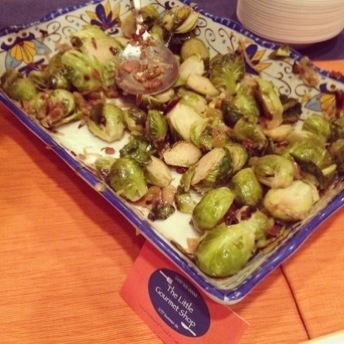 Brussel sprouts have become popular again, and it’s flavorful sprouts like these from Little Gourmet Shop that will make you want to eat your brussel sprouts! Morton’s has a reputation for their steak, and their Sliced Filet Mignon was a perfect example of why people always smile when they talk about Morton’s steaks – they’re so very good! 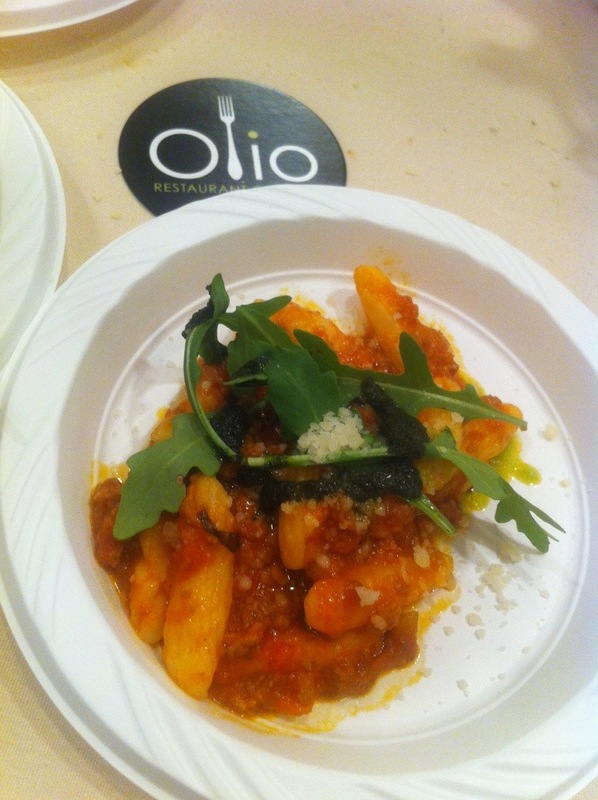 Olio’s housemade cavatelli bolognese made me say, “Oh!” because it was that good! 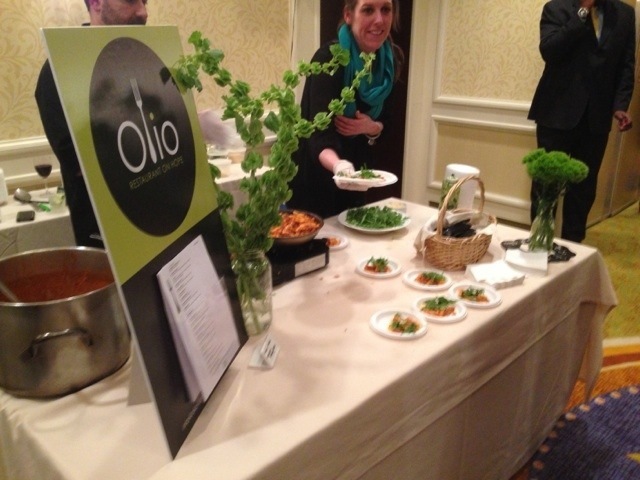 The flavor and freshness of the ingredients really got my attention and I can’t wait to visit Olio. 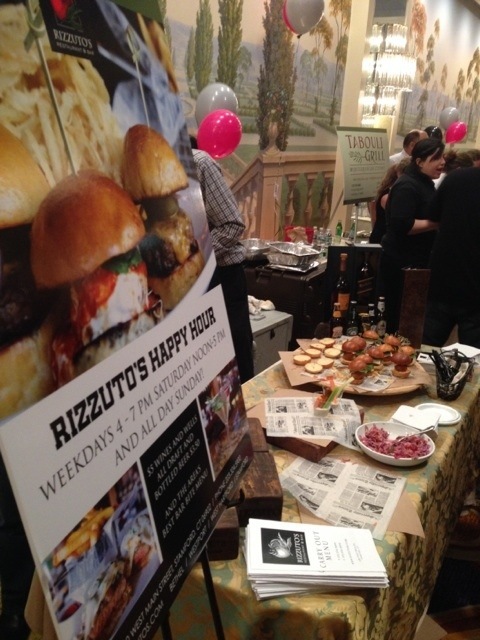 Rizzuto’s is a personal favorite of mine, and their Meatball Sliders and Hot Cherry Pepper Wings were delish! 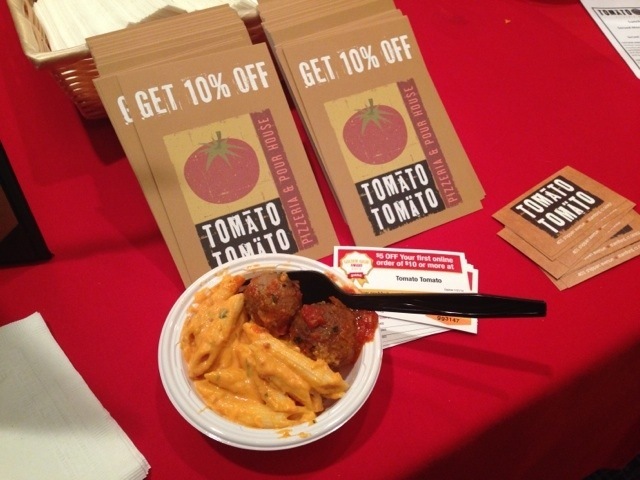 The meatballs and penne vodka by Tomato Tomato was so so good! 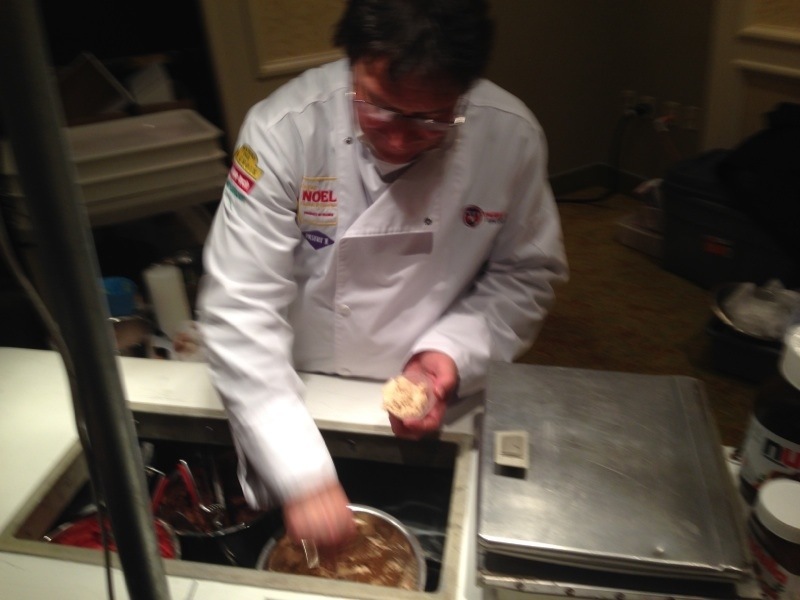 The meatballs were flavorful and the vodka sauce was thick and creamy – just the way I like my vodka sauce. 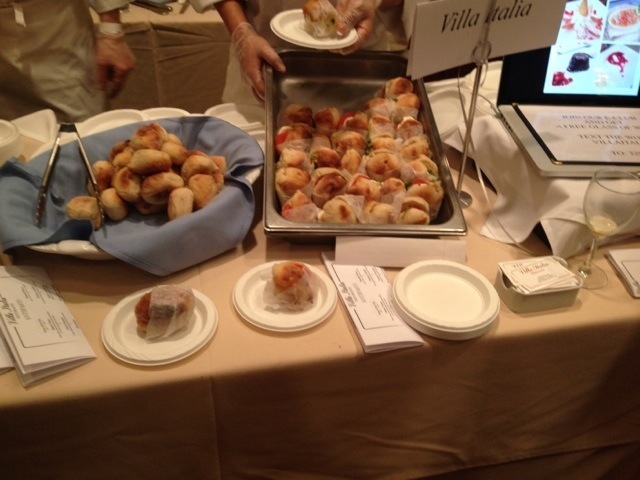 I really enjoyed the Mozzarella Caprese sliders from Villa Italia Ristorante, one of my favorite sandwiches, and the Chicken Scarpariello with hot sausage had just enough kick to it. The Seared Angus Filet Mignon with Gorgonzola salad from The Waters Edge was cooked perfectly and the Gorgonzola complimented the filet and made their salad stand out. 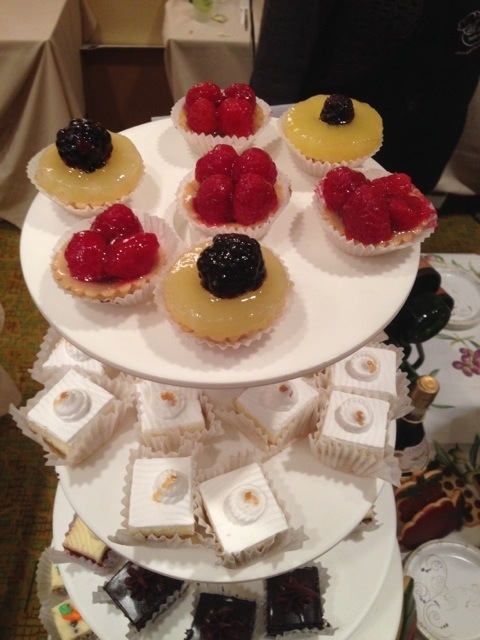 I can’t say enough good things about DiMare – the several pastries and cookies I sampled were delicious! The hard part was choosing what to try. 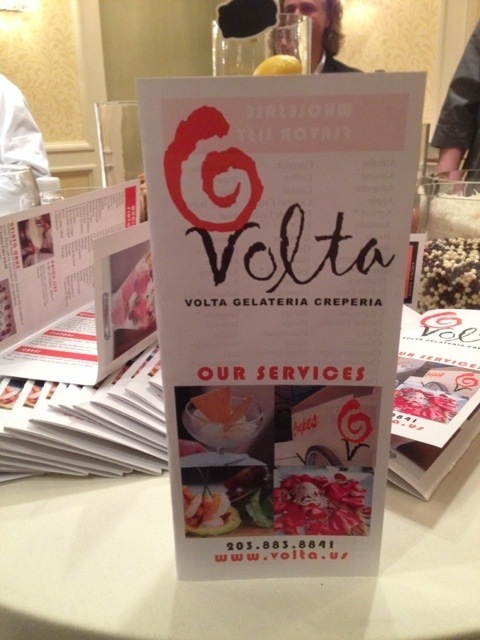 I have been dreaming of Volta’s Hazelnut gelato since Taste of Stamford. Creamy yet light, as gelato should be, Volta’s Hazelnut gelato is excellent. It’s the gelato you’ll be telling everyone about once you try it. 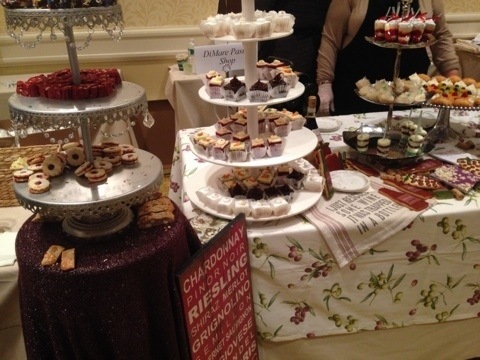 Taste of Stamford is the perfect event to explore the amazing food Stamford’s dining scene has to offer. Mark your calendar for next year because you don’t want to miss this event! Disclaimer: I was invited to attend this event, however all the views and opinions expressed herein are my own.